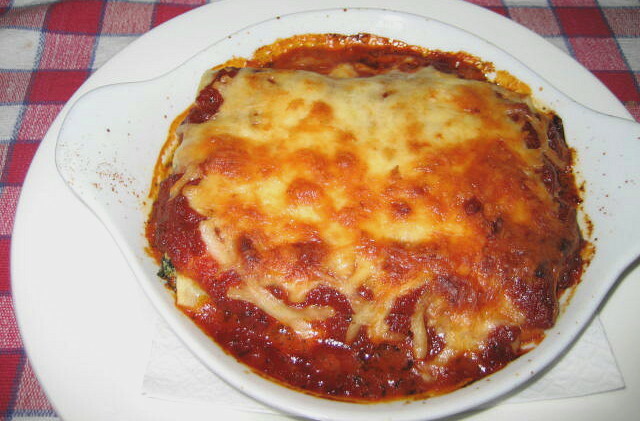 What I have seen personally, Fresh egg pasta cannelloni is an Italian wedding favorite. If everything is done from scratch, like Italian banquette halls usually do, it is job for good part of a day and very labor intensive but worth every step and every minute put into producing this meal. It is not important if you do pasta or filling first but it is more time saving to make the dough first and while it is resting in a fridge, as it must for at least 30 minutes, you start on filling. 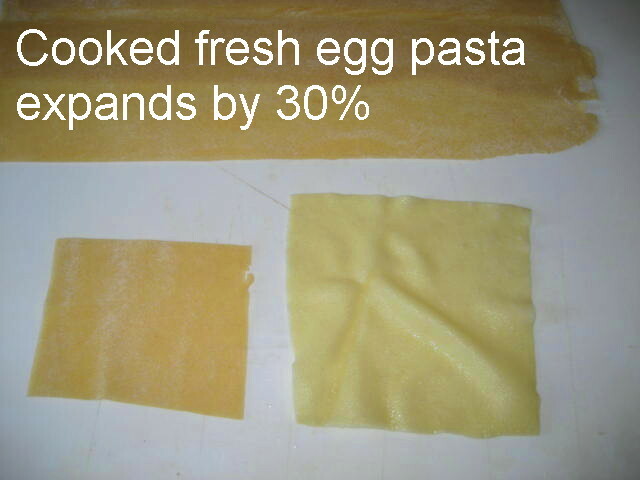 As I have previously posted recipe for Fresh Egg Pasta, I will not repeat it here. This post is long enough as it is. 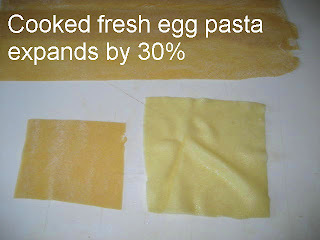 To cook pasta, trim fresh pasta sheet into 4” wide sheets and then cut into 4” squares. 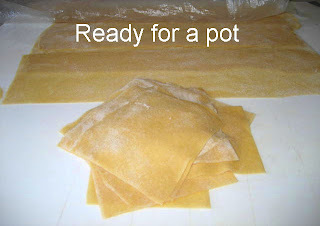 Save trimmings in a plastic bag with 1 Tbs flour for soup or pasta and sauce dish. Bring large pot of salted water to boil. Meanwhile, place large steel bowl with cold water next to pot for cooling down cooked pasta. Have a large tea towel ready. When water is boiling drop in pasta squares one by one and stir to separate them. 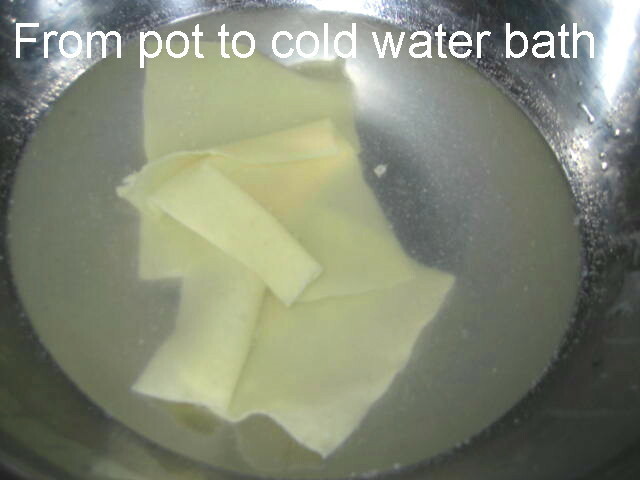 Boil for 4 minutes and remove to bowl with cold water with slotted spoon. Immediately straighten the sheets and place them flat on towel. 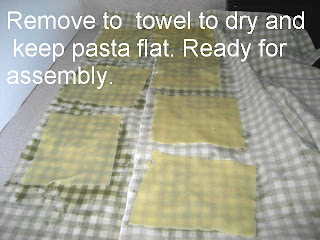 Cook rest of pasta same way. Cover pasta with another wet towel and reserve. In a medium hot frying pan add 1 Tbs. of olive oil and sauté onions, carrots and celery until soft and then add spinach. Add salt and pepper and mix well. Remove to large mixing bowl. In same frying pan add another tablespoon of oil, then the meat and brown lightly. Break apart any clumps that will form. Add wine and cook till all liquid cooks away. Stir frequently. 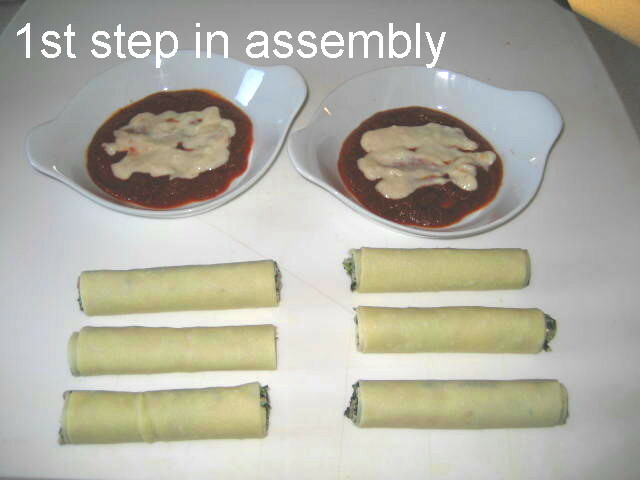 Remove to bowl with spinach mixture and combine. Add cream, Parmesan cheese, ricotta cheese, beaten eggs and dry herbs and basil. Mix till well combined. You should be able to form a cylinder with the meat mixture. Place 1 can (about 15 ounces) tomatoes and their juice in food processor; process until smooth. Heat 2 tablespoons virgin olive oil over medium heat in a large skillet. Add 2 cloves minced garlic and 1/2 cup chopped onion; cook until soft. Add the processed tomatoes, 1 teaspoon each salt and pepper, and cook 5 to 10 minutes or until liquid is no longer watery. Add four chopped fresh basil leaves or a little dried leaf basil, and cook 1 minute longer. 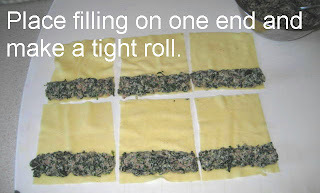 Place enough filling at front edge of pasta sheet to form about 1 ½” diameter cylinder and make a tight roll. When all are done, set aside. 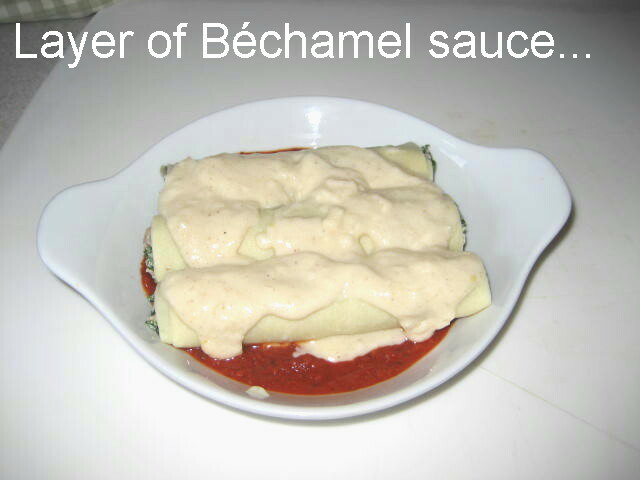 In a bottom of ovenproof serving dish or baking pan pour tomato sauce and then thin layer of Béchamel sauce. 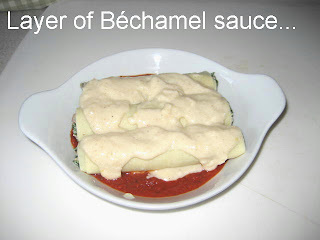 Place rolled cannelloni on top and repeat with layers of tomato and Béchamel sauces. 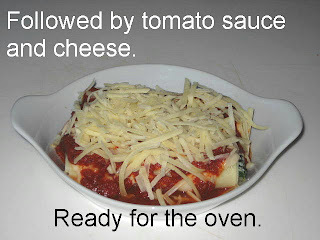 Top with grated Mozzarella or Provolone cheese. 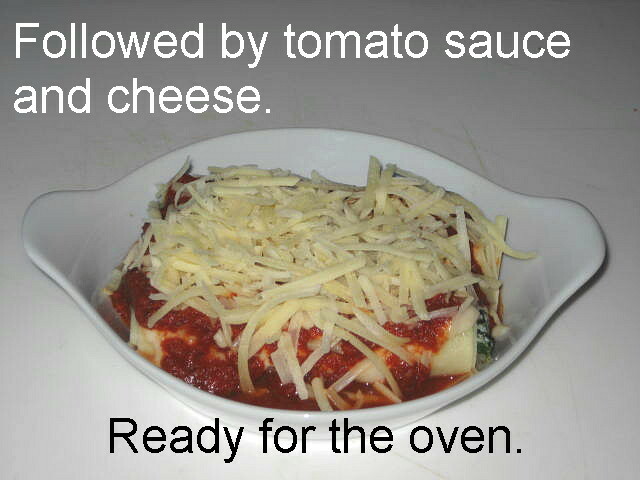 Bake for 20 minutes or until sauce is bubbly and cheese has melted.